Internationally acclaimed Malaysian author Tash Aw has received an Honorary Doctorate from the University of Warwick, his alma mater. Born in Taiwan, raised in Malaysia speaking several languages, and later moving in the UK, Tash Aw’s work is influenced by many cultures and experiences. However, he says that his principal creative focus is on Malaysia. “I’m a huge mixture of Chinese, Malaysian and now other things as well, but really the country that shapes my imagination is Malaysia,” he commented. “During my time here, I started to think about the world in a different way – partly that was because I was so far from home, and that forced me to think about things in a different way, to think about how people reacted to me, and how I was reacting to the world,” he recalled. Crucially, “reading is at the heart of good writing” according to Aw. His first novel, The Harmony Silk Factory, was published in 2005. It was long-listed for the 2005 Man Booker Prize and won the 2005 Whitbread Book Awards First Novel Award, as well as the 2005 Commonwealth Writers Prize for Best First Novel (Asia Pacific region). It also made it to the long-list of the world's prestigious 2007 International Impac Dublin Award and the Guardian First Book Prize. It has since been translated into twenty languages. His second novel, titled Map of the Invisible World, was released in May 2009 to critical acclaim, with TIME Magazine calling it "a complex, gripping drama of private relationships," and describing "Aw's matchless descriptive prose", "immense intelligence and empathy." Aw’s work of non-fiction, The Face: Strangers on a Pier (2016), was a finalist for the LA Times Book Prize. His novels have been translated into 23 languages. His work has also won an O. Henry Prize and been published in The New Yorker, the London Review of Books, A Public Space and the landmark Granta 100, amongst others. Additionally, he is a contributing opinion writer for the New York Times. 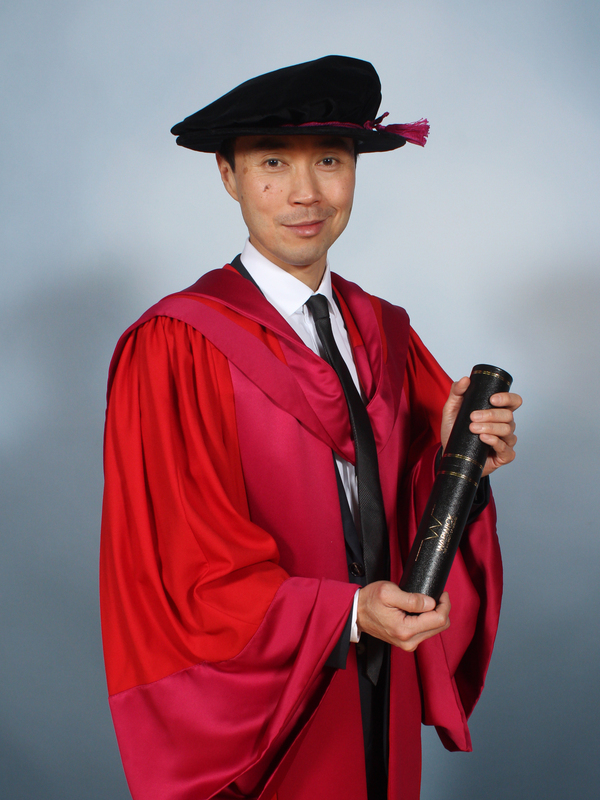 Image: Tash Aw after receiving his Honorary Doctorate at the University of Warwick, January 2018 (credit University of Warwick). Click image for high res.